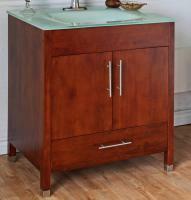 This fun wall mount vanity features a paneled cabinet in walnut tones. The cabinet features three drawers that open to reveal under sink storage. 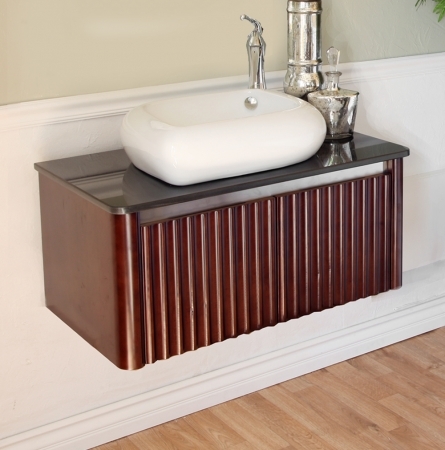 Above, a deep ceramic vessel sink delivers elegance and functionality while leaving a bit of counter space open for use. 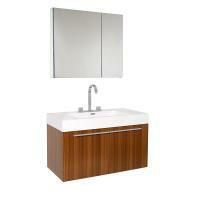 Comes ready for plumbing but fixtures are not included.